Flight simulation systems are now able to be linked in one cloud-based environment for multiple participant training. 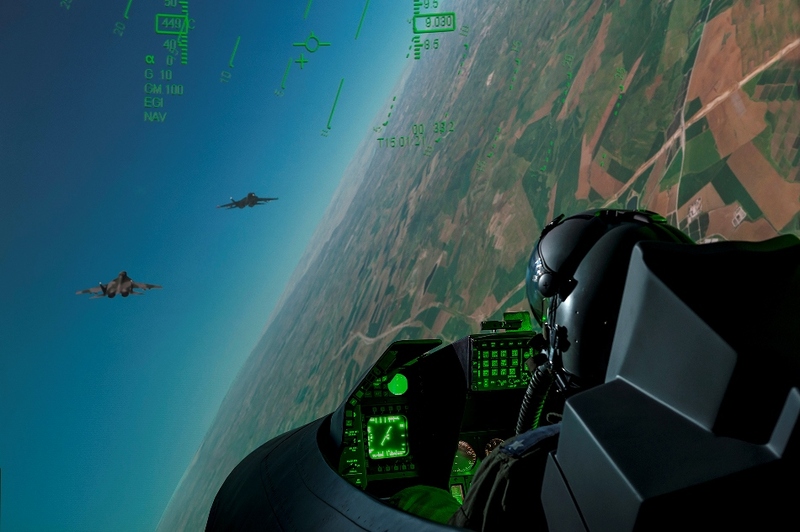 Elbit Systems has completed the first phase of a next generation development in air training by linking two simulators in remote locations, via a cloud-based simulation environment by providing a common Synthetic Natural Environment (SNE). The air training system was developed based on the success of a customer-funded R&D project, where two different types of simulators were linked using cloud-based services. The project demonstrated the ability to link different training devices within the same synthetic environment and highlighted the utility of next generation cloud-based simulation. The current capability allows a ‘commonality of services’ where connected trainers use common services and standard protocols to consume services from the secure cloud by designing the simulation federation environment. It currently allows two devices (in this instance more than 50 km apart) to interact within the private cloud based synthetic environment in real time, in addition to a role player station that enables a human to be in the loop. Elbit Systems explained that the networked simulation devices flew simultaneously to perform the elements of air missions that would take place within their SkyBreaker Mission Training Centre. The next phase of the development programme is planned to incorporate current platform cockpits at Mission Training Centre (MTC), supplied by Elbit Systems. Yoram Shmuely, General Manager of Elbit Systems’ Aerospace Division commented: “This is a very exciting development of our synthetic training capability that will allow multiple devices, of different types and in different locations, to take part in collective training within a secure cloud-based environment. We will continue to invest in this next-generation training which we see as an integral part of the training capability of the future for our customers”.